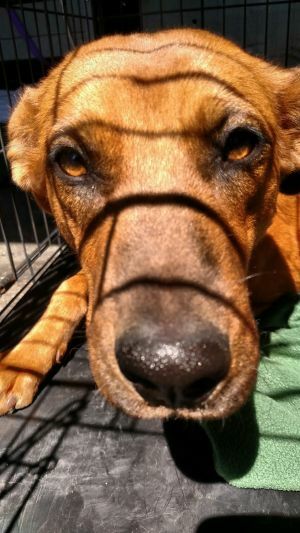 Indy is in urgent need of a foster home. She is about a year old. She is shy and needs to work on confidence and socialization. She also needs leash training and basic manners and obedience. If you have any questions or would like to meet/adopt/foster this pet please email us at info@acofaz.org and we will contact you very soon. 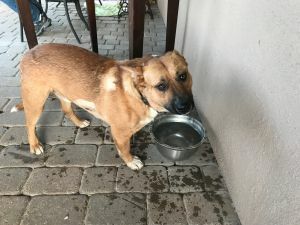 Tripp is a 2 ½ year old cattle dog/shepherd mix. He is neutered and current on all vaccinations. Tripp was rescued from the Navajo nation in New Mexico in August 2017. He has been in a couple of car accidents and his front leg was amputated. He also has an old fractured rear leg that he needs to be cautious with. Because of the way his rear leg has healed and the amputated front leg he has a hop-skip walk. He needs a calm home with no stairs and carpeting or lots of rugs so he will not slip. He is very good riding in the car. 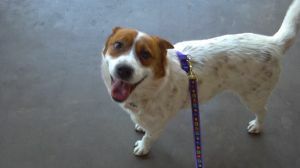 He has a good disposition and loves other dogs, he is friends with all the other dogs in his current foster home. Tripp has good house manners and he uses a doggie door. If you have any questions or would like to meet/adopt/foster Tripp please email us at info@ACofAZ.org and we will contact you very soon. JoJo is a loving friendly girl! She was in rural New Mexico with her newborn litter and trying hard to survive. We were able to get her and the pups in to safety although it was tough 'cause she had clearly been on her own for a long time and had her offspring to protect. As soon as she didn't have to worry about constantly finding a food source and knew we weren't going to hurt her or her babies she relaxed and let her personality show. She has been interacting with the other dogs at her current placement. JoJo is approximately 5 1/2 years of age, spayed and current on vaccinations. She is fiercely smart with lots of energy and would love a home to call her own. Jojo had a small lump removed from her leg.It was a low grade cancer and all of the margins were clear. She is cancer free at this time. If you have any questions or would like to meet/adopt/foster this pet please email us at info@acofaz.org and we will contact you very soon.